With The Fountainheads: Remember The Fountainheads? Abq Jew blogged about them just before Rosh Hashanah, highlighting their performance of Dip Your Apple in The Honey. And he blogged about them again when they uploaded Light Up The Night, a song for Chanukah, Hanukkah, or Khanikeh. You know - The Festival of Lights. 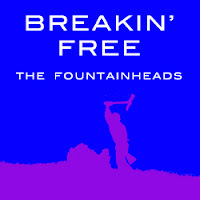 Well, in any case - The Fountainheads are back, with Breakin' Free, a song for Passover, the Festival of Freedom. Enjoyed the song, really enjoyed the video, and loved the end. Was totally verklempt!